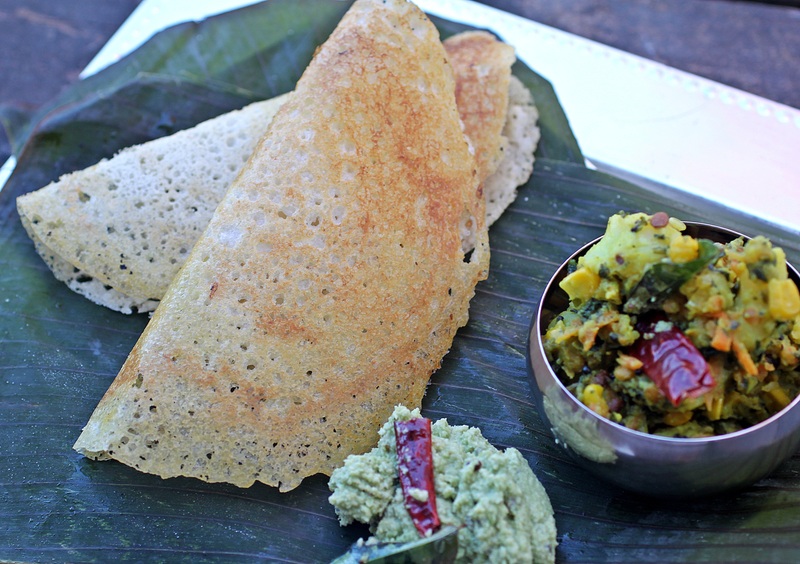 Dosa are a naturally fermented gluten-free and vegan crepe from the Southern region of India. I am excited to be talking to you all about Dosas, spices and anything else you might want to know about Indian cooking. To sign up please visit the event page. Have you always wondered about spices, wanted to get a hang of Indian cooking essentials and generally get a lowdown of what’s what from an everyday perspective, well, you just might be in luck. In this second cooking class, award winning author and cooking teacher Rinku Bhattacharya can get you started in this cooking class where you learn, watch, cook and eat your own brunch. Rinku is a huge advocate of local and seasonal eating and particularly enjoys putting together healthy and beautiful menus that are simple and practical to make. • Dosa’s – Crispy Rice and Lentil Crepes, watch how to make your own dosa, and customize your dosa from an assortment of traditional and inspired toppings. • Silver Dollar Oothapams – Miniature Gluten-free pancakes, topped with green or red chutney. Cost of the Class and Meal is $35 for adults and $15 for children (under 12). Rinku Bhattacharya is a Westchester based food writer, culinary instructor and home chef. She writes the blog, Spice Chronicles (www.spicechronicles.com) and the Journal News online column, Spices and Seasons. She is the author of two award winning cookbooks, The Bengali Five Spice Chronicles and Spices and Seasons, Simple, Sustainable Indian Flavors.